The keys to the new Academy of Sport and Wellbeing in Perth, Scotland were handed over on Monday 22nd August 2016 ready for the College to carry out their own final fitout and move in. This represents a huge effort and success by all involved to meet a very tight deadline, which will mean the new sports curriculum will commence in September and the hair and beauty students can also start their courses. 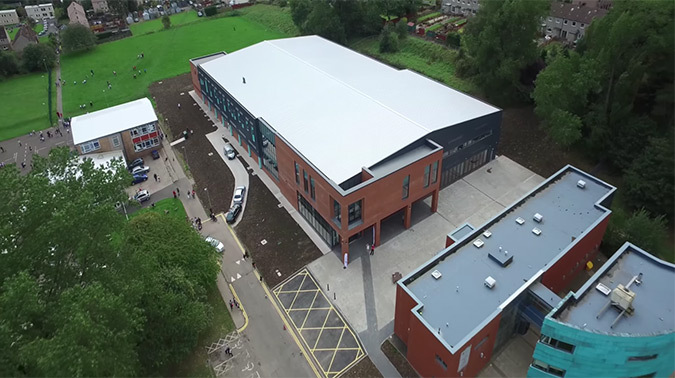 The £7m state of the art facility includes a multi-use hall, which will be used for National competitions, but can also convert into a presentation and graduation hall. There are teaching spaces as well as a hair salon and three beauty therapy studios.